This font was produced for William G. Sherman who recreated this alphabet from samples of the logo and other sources from the airline company Air America. Paid for by his family. 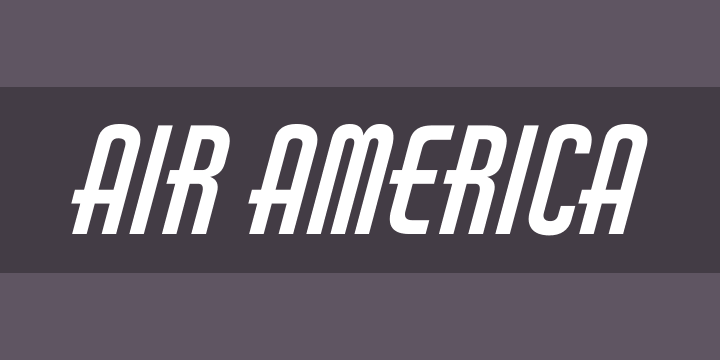 “Air America” name used with permission from the Air America Association (http://www.air-america.org). Digitized and mastered by Aaron Bell (https://www.sajatypeworks.com).